Direction : In Questions no. 1 to 10, some parts of the sentences have errors and some are correct. 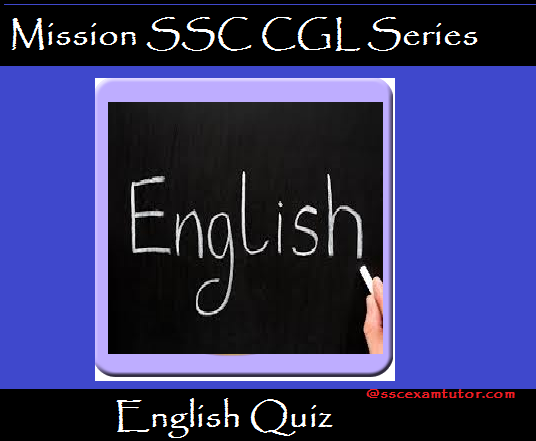 Find out which part of a sentence has an error, If the sentence is free from error, choose D as you answer. Note :Change "have written" into "wrote". We don't use "present perfect" with "past time" (yesterday). Note:Change "take" into "took". The sentence has started with past tense. Note:Change "like" into "likes". When "as well as " joins two subjects, the verb agrees with the 1st subject. Here the 1st subject "Mohan" is singular. Hence, it will take singular verb "likes". Note:Change "for" into "of". 'Cause of....." is the right form. Note:Change "common" into "commonly". "Used" is a verb and will be qualified by an Adverb. Note: "Practically a monopoly" will come before "not because". Also remove "to" that follows "superior". Note: Change "to officiate" into "officiating". Like takes "V1+ing" after it but can also take "to + V1". Here, the 2nd part has playing (V1+ ing) so it will take "officiating"
Note:Change "at playing tennis" into "as a tennis player".